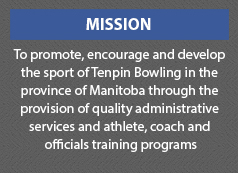 Each year Manitoba Tenpin Federation selects one individual as their Volunteer of the Year from the Manitoba Bowling Community, based on their contribution to our sport over the past year. 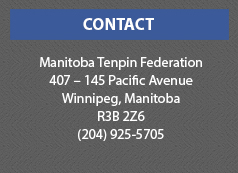 Nominations must be submitted in writing to the Manitoba Tenpin Federation by February 1st of each year, in order to properly review and select the individual. All submissions should include a summary of the nominee’s contributions during the past year. Sport Manitoba also holds an annual awards event to recognize the “Volunteers of the Year” from all the affiliated sports and present the Sport Manitoba Volunteer of the Year Award.